Beautiful villa on second floor corner with great views of the pool & ocean. Fully equipped kitchen with granite countertops and all modern appliances. Washer & dryer off kitchen, access to screen porch from both living room and bedroom, flat screen tvs, DVD player, Blu-Ray,WiFi. Elevator and community pool. Linens. No Smoking. No Pets. Bedroom - King bed, flat screen TV; sliding doors to patio. Living room: Queen sofa bed, flat screen TV/DVD/VCR, sliding doors to patio. Dining table: seats 4 with additional seating for 3 at the bar area. Our stay was comfortable. Well kept unit. Our only problem was being charged for the first night which I did try to cancel 48 hrs or more because of unforeseen complications with our move. When I called to cancel it was the weekend & then New Years. No one got my message. I offered to add on an extra night in exchange for the missed night but that was not offered or accepted. Unfortunate. However we’ve used island realty before and been pleased. Hi Linda Thank you for taking the time to leave a review. I'm so sorry you were not able to be here for the first night, but glad the rest of your trip went well. Please don't hesitate to reach out to me if you need any assistance with your next trip. We had a great stay in IOP. Our Villa rental was in a great location that was convenient to the town and Charleston. Hi Roger Thank you so much for taking the time to leave a review. We love that you enjoyed the condo and look forward to having you back with us soon! Condo was clean, beautiful view from all doors and windows...enjoyed our time there.. great place for a great price.. The weather was perfect and the location was fantastic. Wish we could stay longer. We enjoyed Wild Dunes, walked a lot. The outer door of unit wouldn't stay closed, the key code mechanism didn't always lock properly. Lots of Windows but unfortunately neighbor s could see in so wasn't private and we kept blinds down. Too bad because had ocean view. We still enjoyed our stay but may choose different unit next time. Everything was wonderful. We loved the villa and when we had a couple of minor problems Island Realty had a very helpful fellow out to us in no time. We had a pleasant visit to Wild Dunes with a clean unit at Port O Call 201D. The weather was somewhat typical for the Thanksgiving week. We had no issues with any of the Building amenities nor the location. 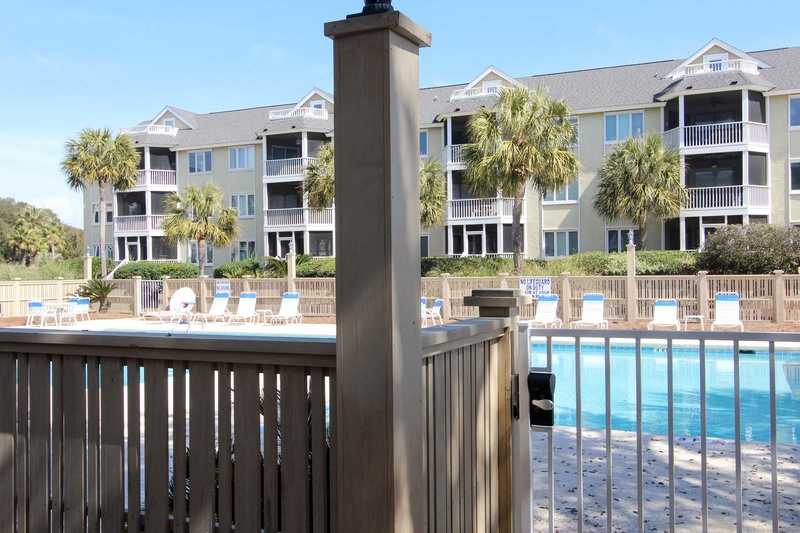 It is an excellent location for access to the beach and the staff were very accommodating. To anyone looking for a beach front unit. My wife and me had the time of our lives on this stay. .
Our one bedroom was very spacious and clean. The views from the living room and bedroom are awesome. I definitely would stay at this location again. Island Realty was great and so easy to work with during our stay. My wife and I had a very pleasant 7 days at this property. 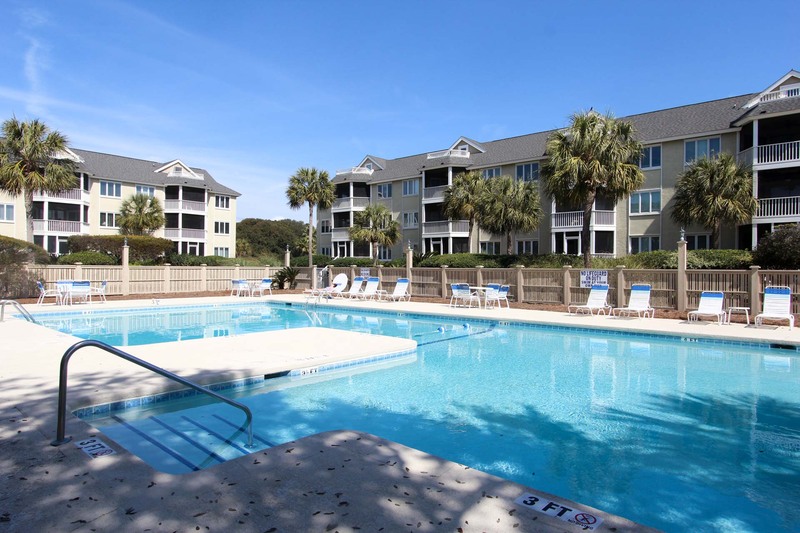 Right next to the pool, and a 2 minute walk to the beach. Screened in porch looked right at the ocean. Had coffee every morning on the porch looking at the ocean. Place was very clean, no issues. We had a minor issue with a leaking air conditioner but maintenance was easy to work with. Overall great experience. This was our first visit to Port o Call but our 5th trip to Wild Dunes and all was good. We had a great trip. The room was even better than expected. Everything was easily accessible. Staff were friendly at checkin. I would highly recommend staying there and will consider staying there again. Condo in Port-o-Call was in a wonderful location! Clean, well maintained and comfortable. 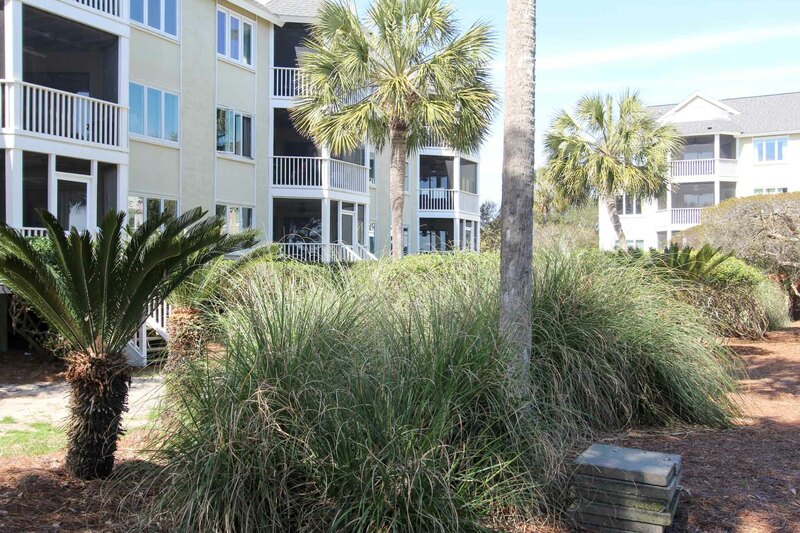 The perfect place to relax and enjoy Wild Dunes. We had a wonderful time! Place was clean and roomy! Kids loved it! We didn't realize from the pictures the patio was completed screened in! That was such a nice surprise! We were also SO much closer to the beach and pool then we anticipated! Check in was a breeze. We were in Charleston for our son's Spring Break high school baseball tournament and wanted a relaxing, nice place to enjoy the beach between games. The condo was clean and pleasant with a lovely view of the ocean. The beach was very nice - wide & clean and not crowded. Wild Dunes was a great place for a run in the morning. The condo complex was beautiful and well-kept. It was a really pleasant stay. Although the condo was a tad dated and the balcony furniture needs replacing, we were very comfortable in this condo. Too bad our visit was cut short by Hurricane Matthew. Easy check in and the condo was exactly as described. It was one of the cleanest condos I've stayed at and the ocean view could be seen from every room. The beach access is about a 2 minute walk. The condo is located about a 10 minute drive from a grocery store and about a 20 minute drive to excellent shopping and movie theatre. The only improvement that could be made would be to update the porch furniture, it was old and uncomfortable. This condo would be perfect for 2 people a little small for more than that. I would definitely rent it again. Absolutely wonderful! The property rental was clean and beautifully decorated. It was easy access to the beach and had a wonderful view of the ocean. We would definitely choose this location again. 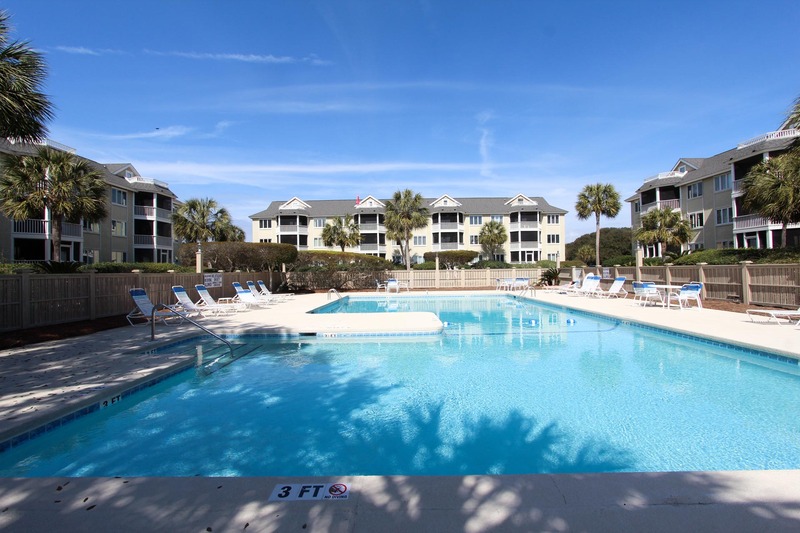 Loved the location, we barely left the condo complex as beach, pool, porch were all within 100 yards. Condo was good for family of 3, might get tight with 4 or more. Property in good overall condition, but door from LR to screened porch nearly impossible to open and window from entry to porch, pool and ocean filthy. Burned out bulb in shower. I would like to thank you for taking the time to share your experience at Port O Call D201 I have reviewed all your feedback in detail and have also passed it on to the appropriate parties. I am sorry that you did not feel you could reach out to us with these issues, as we would have loved the chance to improve your vacation. It is always Island Realty's goal to provide guests with quality accommodations and superb service. We value your feedback as it lets us know the areas were we need to improve, so we can provide an even better vacation experience. Once again, thank you so very much for taking the time to share your experience with us and we hope to see you again soon! Well managed and quality surroundings.